Short term and fast loans can used to pay unexpected bills and expenses. Imagine a small business that is surviving in a small-town, local economy with a minimum profit margin. 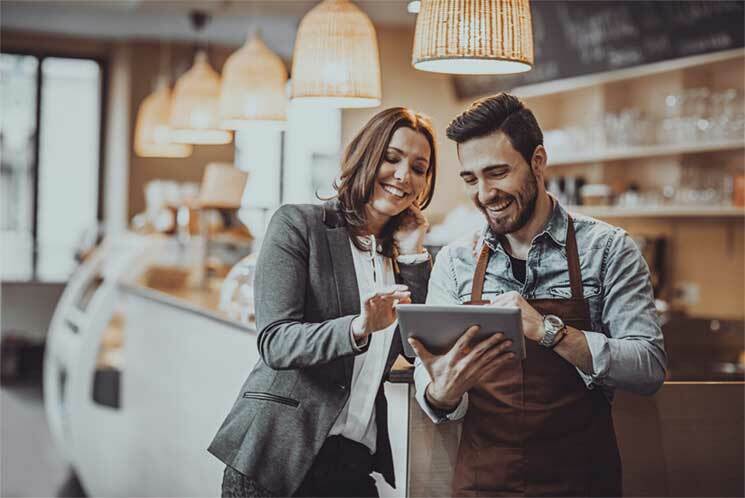 When a new opportunity to expand that local business into a regional enterprise arises, many business owners might be lured into finding quick cash to take advantage of the fabled “once in a lifetime” opportunity. What often occurs, unfortunately, is that the once financially stable local business ends up stuck in an endless cycle of debt that ultimately impedes the stability and long-term profitability of the company. Fast money is usually expensive, and short term loans have perhaps unfairly received a negative reputation because of too many injudicious business owners jumping into a situation that they and their business were simply not prepared for. Under the right circumstances, and with prudent business owners that are careful with their cash flow, short term loans can be incredibly useful to different types of businesses. Below, we will explore three different reasons why a short term business loan might make sense for your company. Imagine that a small company suddenly hit it big with a potential client asking for an order that is ten times as large as any individual order that they had fulfilled up to that point. Gaining a steady client of that magnitude would allow the business to grow to a completely new level, but financing is needed quickly. Fast business loans or quick business loans would often be the only way that business could get the funding they needed in a timely manner in order to begin fulfilling that order. A report by the Harvard Business School finds that since 1995, over two thirds of the new net jobs have been created by small businesses, and gaining access to fast business loans is essential to help small businesses continue to grow and garner new job opportunities when revenue generating opportunities present themselves. In these types of situations, quick business loans should be seen as an investment opportunity to grow a small business. The potentially profitable return on investment would thus be well worth the extra interest payments you might make due the nature of short term business loans. Time Magazine reports that mainstream banks have reduced all different types of small business loans by 20% since the 2008 financial crisis. Fortunately, this hole has been filled by online lending agencies that offer several different types of financial tools such as bad credit business loans and fast business loans. While small, local businesses in the past were essentially obligated to do business with their local bank (even when the terms, rates, and conditions on business loans were less than optimal), today the Internet allows Australian companies to search among a wide web of lenders. There are even online tools to help you compare and find different lenders so that your business can decide on the loan option that is most favorable to your particular situation. Unfortunately, there is quite a bit of vulnerability and uncertainty associated with running a small business. While multi-national corporations can usually stand to take a loss when something affects business and still have the financial firmness to continue on with business as usual, small businesses usually do not have that luxury. There is a virtually endless list of things that can go wrong for a small business and thus leave the company in a serious and grave situation. From a piece of essential (and expensive) equipment breaking down, to an important employee getting sick, to a load of inventory getting lost somewhere along the supply lines, emergencies can leave a company facing a tremendous amount of financial insecurity. ast business loans are often the only way a company can face the unexpected challenges that come with running a business. Quick business loans also often require much less documentation than traditional loans, and this can be important for companies that need cash, but might not be able to provide the small mountain of paperwork that many banks will ask for. Unlike traditional business loans, Business Fuel is an innovative product. A Cash Advance based on the strength and consistency of your business and your average monthly sales. Getcapital is committed to delivering the right outcome for the business each time and as a result we have long term relationships with many of our clients. Uur customer approach is coupled with leading edge technology. An online credit platform, Spotcap provides short term loans forsmall business..
We have a saying at Sail, ‘With us, you’re not a loan.’ This idea of not just providing fast, flexible and transparent business loans, but also fully supporting our customers throughout the entire loan process. With innovative thinking, Marketlend performed extensive research in the Australian Business lending market and as a result, it has established Marketlend, to fulfil a real need for both investors and borrowers alike.